Tradition and technological research, material and design, past and future. 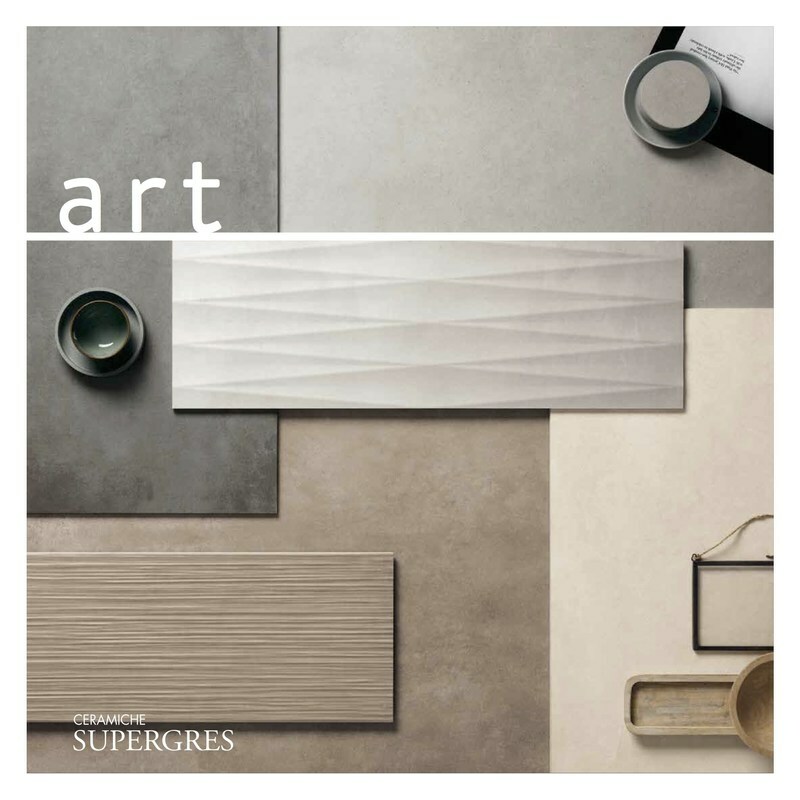 A blend of various stimuli, an encounter between different trends that has led to the designing of ART, a material that draws its inspiration from cement, featuring natural surfaces in neutral shades for a simple, subtly tasteful effect. ART is a complete project of porcelain stoneware floor coverings and white-body wall coverings. The porcelain stoneware comes in four colours - clay, tobacco, cement and graphite – and in four large sizes. The project is completed with cement tiles in two colours, decorated to bring a tastefully elegant finish to both residential and commercial settings. The white-body wall covering, in the rectified 30.5x91.5 size, is available in four shades: tobacco, graphite, silk and pearl, and also with two different three-dimensional textures.